Fitting these words on our banner (above) on the back of St. Vincent took some clever design work. For a sign meant to be read while waiting at stoplight 20 yards away, 13 words might as well be a James Joyce tome. In an effort to wordsmith this into a limited space, we looked at several Scripture translations. The distinctions among these sparked conversation about the meaning (possibly some comfort) and perhaps a sense of purpose that people sitting in traffic might take from the banner. 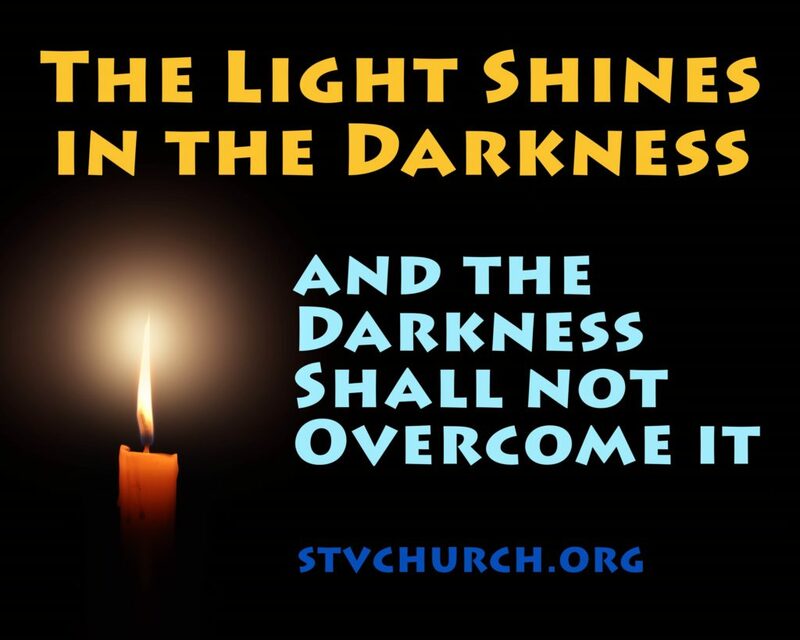 One that stood out was “…and the darkness did not comprehend it.” (NASB) Darkness could not comprehend light. Think about that! It felt right for this moment. However, we had doubts that anyone would comprehend our banner from down in the street with that phrasing, so we stuck with this more common translation. From the Church and from the street, we are invited to live and pray into the light together.